Accueil Bande originale Paroles Chansons Humuhumunukunukuapua’a – Paroles de la chanson dans “High School Musical 2”. 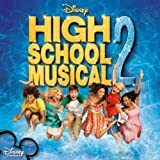 Humuhumunukunukuapua’a – Paroles de la chanson dans “High School Musical 2”. She was sweet as a peach. But so sad that she hardly speak-y. Still, if you listen well. Aloha everybody, my name is Tiki. I long to free a truly remarkable fish. She dreams of a boy who is under a spell. I sing from my heart of the power of love. And stroke each tender gill. Now this is where we lean into the whole Kabuki thing. And the big sky cried. Ryan, where’s my ocean ? Then the wind went whoosh. With the mighty spirit fu-fu. The words I will not mince. This is real fish talk. And then the fish turns into a.